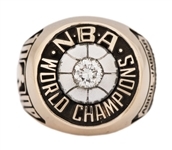 Led by Kareem Abdul-Jabbar (who posted averages of 24.8 points, 10.8 rebounds and 3.4 blocks per game), the 1979-80 Los Angeles Lakers finished the regular season with a record of 60-22. 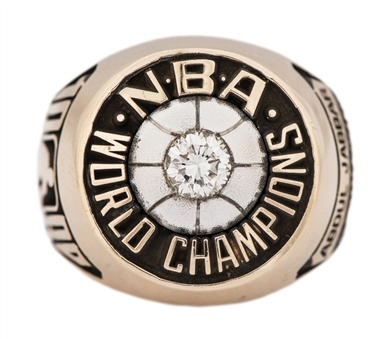 Jamaal Wilkes (20.0 PPG), Magic Johnson (18.0 PPG, 7.3 APG) and Norm Nixon (17.6 PPG, 7.8 APG) all contributed significantly to the team’s success. 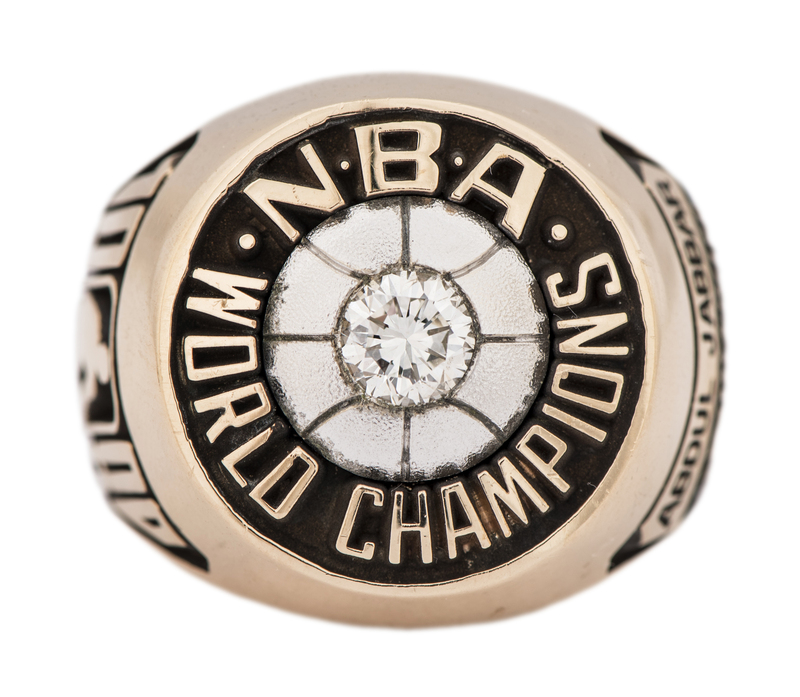 After defeating the Phoenix Suns and Seattle SuperSonics (winning each series four games to one), the Lakers beat the Philadelphia 76ers to win the NBA title. 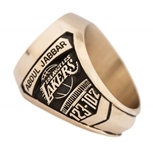 Offered here is a Balfour 14K gold 1980 Los Angeles Lakers NBA championship ring presented to Hall of Famer and NBA all-time leading scorer Kareem Abdul-Jabbar that features a beautiful round diamond, set on the image of a basketball, while relief lettering reads “NBA WORLD CHAMPIONS”. 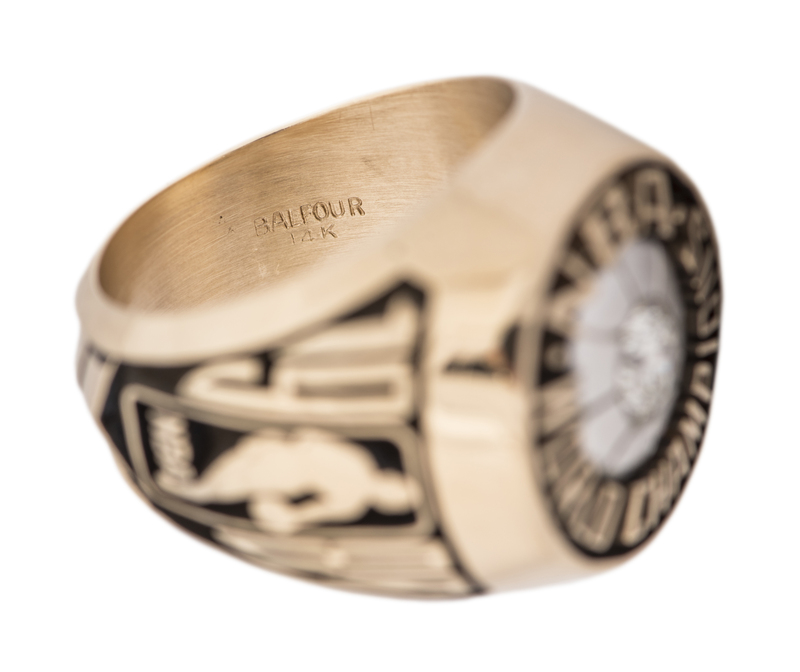 One side of the ring shows a Lakers team logo above a depiction of The Forum, the team’s home arena. 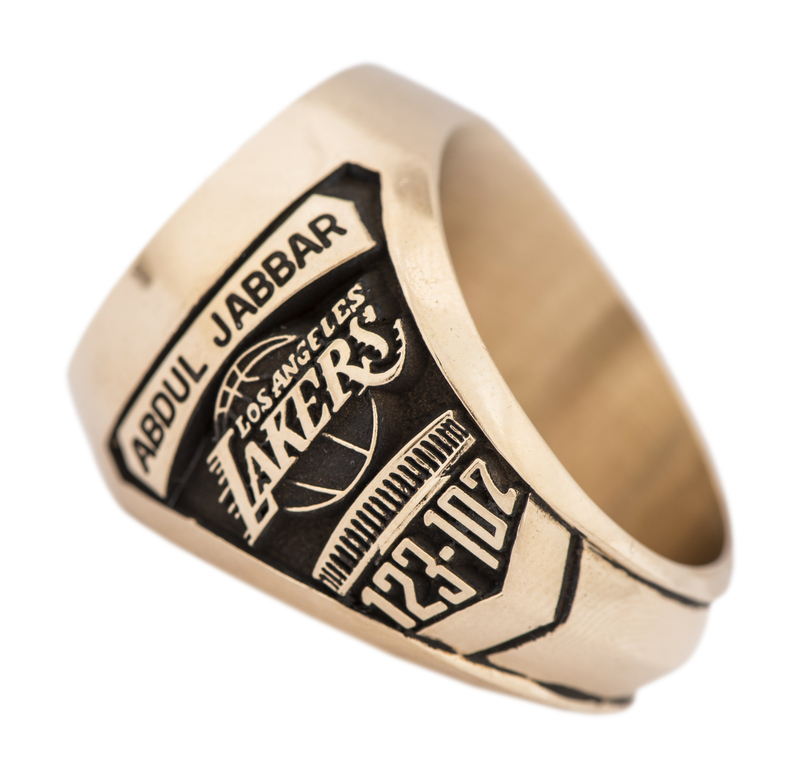 Abdul-Jabbar’s name appears at the top and “123-107” (the final score of the championship-winning game) is displayed at the bottom. 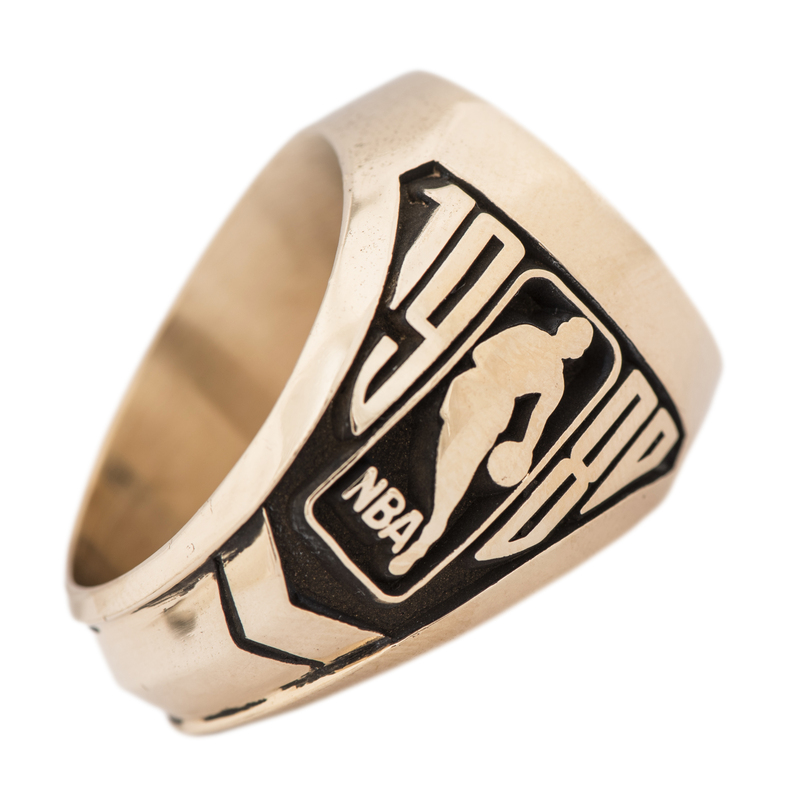 The opposite side features the NBA league logo along with the year 1980. 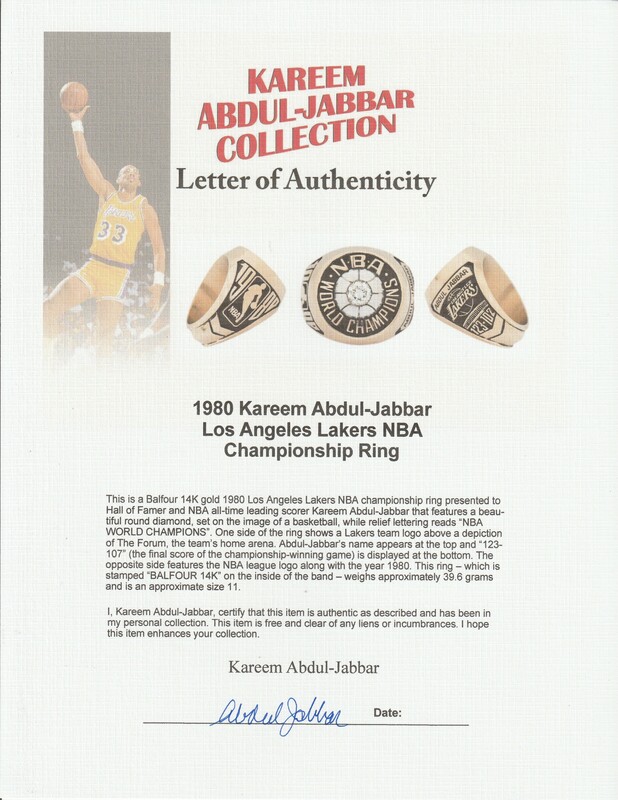 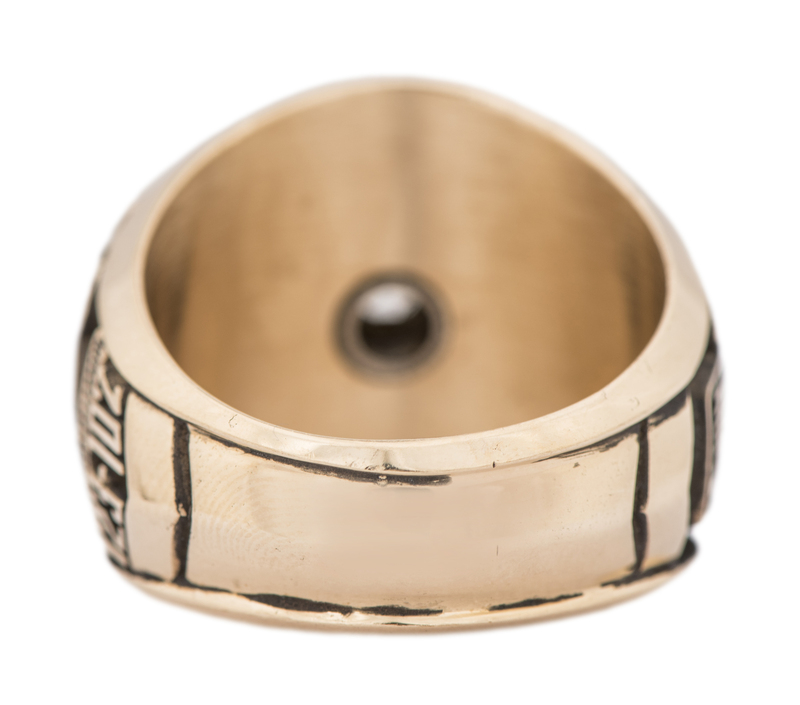 This ring – which is stamped “BALFOUR 14K” on the inside of the band – weighs approximately 39.6 grams and is an approximate size 11 and comes with a signed LOA from Kareem Abdul-Jabbar.